Almost joined on to the beautiful beach of Plaka is the most amazing Cycladic-style complex of Plaza Beach Hotel, for your dream holiday on Naxos. Built in traditional island style, with special care given to every detail, it offers an oasis within reach of every visitor. Qualified personnel, who will always try to help customers in any way they can, manage the reception 24-hours a day. It is possible to get information, book excursions, hire mountain-bikes, motorbikes and cars and give boat-information and/or provide tickets. The reception arranges also the laundry-service. 100 rooms with balcony and a fairy-tale view of the endless blue sea, equipped with every modern comfort: air-conditioning, international television, telephone, internet-connection, heating, refrigerator, music, hair-dryer, safe, laundry service, room service. 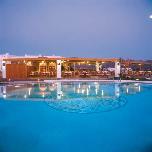 The Plaza Beach Hotel has singles, doubles, triples, mini-suites, suites and Honeymoon-suites. The mini-suites have a sitting room and a bedroom. The sofas in the sitting room can be made into a bed, so the mini-suites can occupy also 4 persons. The suites have also a private jacuzzi. Είστε ιδιοκτήτης ή διευθυντής στο PLAZA BEACH; Εγγραφείτε τώρα για δωρεάν εργαλεία, που μπορείτε να χρησιμοποιήσετε για να βελτιώσετε την καταχώρησή σας και να συνδέσετε την ιστοσελίδα σας και το σύστημα κρατήσεών σας.